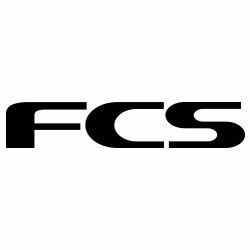 Always consistent off the lip, the FCS II FT PC Tri Fin Set embodies Filipe Toledo's aerial style with this ultra-light signature fin. 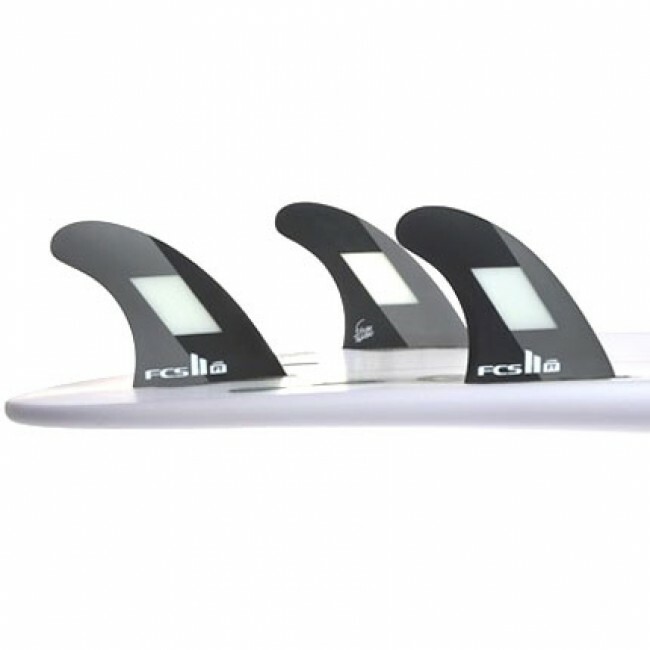 Working well in juicy, overhead conditions, the FT Tri Fins channel speed and generate drive to assist with that last pump off the bottom before setting yourself up for an unhindered launch. The first of its type on the market, the FT PC is constructed with an ultra-light 3D core that mimics the foil and geometry of the fin for extra strength and an insanely light weight. 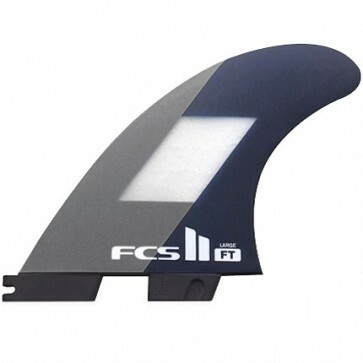 If your looking for a progressive, fast paced fin set for grinding through caverns and launching the perfect air, get yourself the FT PC Tri Fins. Improved with an ultra-light 3D Core, PC fins are reliable, very responsive, and can be used in a variety of different conditions. The lightweight core mimics the foil and geometry of the fin adding strength while minimizing the use of weight sensitive materials. A reliable and stiff flex pattern extends progressively from the base through to the tip helping the surfer to maintain drive and hold through a turn.